Every human being about to be born is loaned a provisional identity. This identity is embodied in the name they are given, as an invention, internal need, or generational obligation, parental fantasy or delusion. Both the person receiving and the person bestowing the name—and, with it, the provisional identity—are unaware of all this. 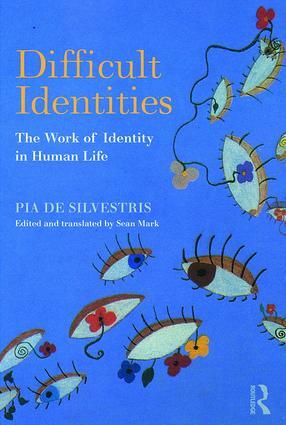 Interweaving theoretical reflections and clinical histories, Pia De Silvestris illustrates the dramatic nature, the profundity, and the cryptic complexity of the challenges posed by this difficult identity—challenges she has faced repeatedly throughout her psychoanalytic career. She sees the role of transference in psychic and relational life as a "continuous search for the origin", a force that develops continuously through a variety of exchanges and investments, which seek, on the one hand, to weaken the bond to the original object and, on the other, to preserve it until death. Throughout the book’s chapters, we see how it is precisely the product of the transference experience that permits the joint work of identity construction to begin. Transference is always the outcome of an experience of fulfilment and an encounter with the other; and it is desire of the other that promotes the search for the self. Pia De Silvestris is a psychotherapist who lives and practises in Rome. She is a full member of the Society for Psychoanalytic Psychotherapy for Children, Adolescents and Couples (SIPsIA) and the Italian Society of Psychoanalytic Psychotherapy (SIPP), and teaches on the training programmes of both societies. She has published widely in psychoanalytic journals, and has co-authored several books in Italian, among which are Transference in Child Psychoanalysis (1994); Childhood Depression (1997); Transcribing the Unconscious (2002); Awareness and Self-Analysis (2005).